From Colorado Springs to Denver, we're the go-to remodeler for exceptional windows, doors, and baths! Looking for reputable and dependable Colorado area remodelers? Then your search stops here! With more than 30 years of remodeling experience and over 60,000 satisfied customers behind us, Bordner is a locally owned and operated Colorado home remodeling company. Whether you want a more accessible shower or a more beautiful, cost-saving front entry door, homeowners across Colorado count on us for guaranteed service at affordable prices. Successfully Serving Local Households Since 1987! Replacement Windows: Tired of gazing through grimy or outdated windows? Then let us replace them with top-quality products from manufacturers like ProVia and Infinity by Marvin. Doors: From protective storm doors to sliding glass patio doors, we have an extensive selection of products that can be tailored to your preferences in style, security, and energy efficiency. Bathroom Remodeling: Boost the comfort, look, and value of your home with our premium Denver baths! Made of Luxury Bath’s nonporous, mold-resistant acrylic, our tubs and showers are engineered for easy use and hassle-free maintenance. 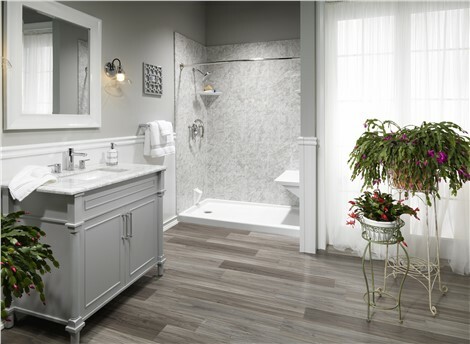 No matter which renovation most interests you, you can rest assured that you’re getting the highest-quality products and most supportive service from our Denver bathroom remodeler. With our A+ rating from the BBB and four Angie’s List “Super Service Awards,” it’s no surprise that 97% of our customers would recommend us to friends and family! For your home improvement anywhere in Denver, Colorado Springs, or the surrounding regions, you can count on the top-rated, award-winning expertise of Bordner. Call us today to learn more, or get started with your free cost estimate by completing our fast and easy online form now!